We originally published this post at the end of February 2018, and it became outdated within a month. What does this tell us? That Salesforce is growing at an incredibly fast rate – recognising a gap in their native portfolio, and filling it lightning fast. 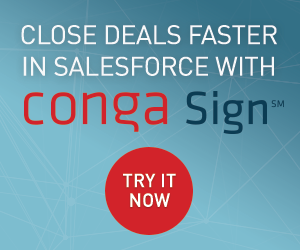 Anyone in the Salesforce Ecosystem would pinpoint 2016 as the year for acquisition mania. In one year alone, Salesforce snapped up 12 companies, largely to build out the platform’s AI capabilities, known as the ‘Einstein’ brand. However, many aren’t aware that Salesforce has been consistently making a number of acquisitions for years, across a diverse range. This post covers the Top 5 acquisitions by price across Salesforce’s history, according to data from Crunchbase. Now, it’s time to reflect on why these former companies justified their purchase price, and how well assimilated into the Salesforce product they have become. 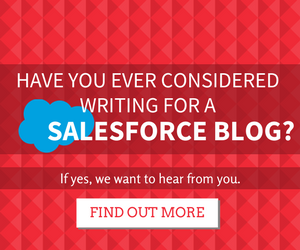 We hadn’t seen anything like this before in the Salesforce Ecosystem. The Mulesoft acquisition blew all previous acquisitions out of the water in two respects; not only was the purchase price more than double that of the previous front-runner (Demandbase), it marked the new direction Salesforce are heading for. Salesforce want to eliminate all possible blockages that can stand between enterprise-level organisations and becoming Salesforce customers. These organisations were not born in the cloud, and still have a heavy legacy IT infrastructure; what I mean by this is older, on-premise software are still in the mix that need to be connected to Salesforce or other SaaS products. In some cases, sticking to legacy and integrating is less risky and less costly than migrating. This is where Mulesoft comes in. Mulesoft have an ‘API-led approach to connectivity’, and started off by offering middleware to connect back-office systems. They later expanded to iPaaS (Integration Platform As a Service). It was announced that Mulesoft will transform into ‘Integration Cloud’, where customer will be able to “easily map and manage systems for a complete view of data, devices, and apps”. According to Salesforce: “additional Salesforce Integration Cloud products will be announced later this year and pricing for each feature of Integration Cloud will be announced as it is made generally available”. It will be interesting to see if Integration Cloud will remain focused on enterprise-level, or have a price point for the SMB market. We will have to hold tight. In the meantime, check out the Trailhead DX Keynote. Salesforce had mastered the B2B cloud software market, and yet, always had the taste for the B2C market, naturally. Mix in their growing desire to infiltrate front-end operations, and you can see why E-commerce quenched their thirst – the missing piece of the puzzle for B2C customer engagement. Traditionally, retailers were never fixated over CRM, but Salesforce spotted the future need for 1-to-1 shopping experiences. Demandware had capitalised on a data-driven world with high consumer expectations; however, the price was likely justified by the well-engineered product and Demandware’s existing enterprise customer base. Demandware became Commerce Cloud very quickly, grabbing the attention of next-generation retailers who want an end to disparate data sources. Commerce Cloud offers ‘omnichannel commerce’, that is, a seamless retail experience across the growing number of digital and physical engagement channels, including web, social, mobile, store, and others. Commerce Cloud caters to e-commerce holistically, with a ‘single source of truth’ too all processes across marketing, shopping, order fulfillment and customer service – all with predictive intelligence. After conquering the sales and service (post-sales) departments, Salesforce looked to expand in the pre-sales direction. The next logical step was Marketing. ExactTarget were a 2000-strong organisation, running 13 years pre-acquisition. The product was the comprehensive, robust foundation Salesforce was seeking as the backbone for their enterprise Marketing suite. In addition, ExactTarget had acquired Pardot 6 months previously – now able to position themselves to both B2B and B2C prospects. It’s funny to read TechCrunch’s observations following the ExactTarget-Pardot announcement: “it puts ExactTarget into a better position against the likes of Salesforce.” (TechCrunch). 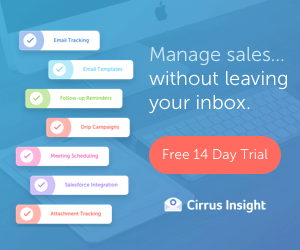 Clearly, Marketing Cloud was boosted with the addition of ExactTarget’s core Marketing Automation capabilities, specifically around email marketing. Marketing Cloud, now split into 7 products, is a beast – in terms of its all-encompassing, multichannel functionality. Marketers can cover email, SMS, social, digital advertising and more with the product suite. The user experience is highly engaging and has that ‘wow’ factor, particularly with Journey Builder and Einstein Smart Splits. And Pardot? Pardot is growing from strength to strength every quarter. Originally targeted at the SMB market, the investment in product development has paid off; now Pardot has attracted an impressive enterprise-level client base, with the likes of Amazon and Stanley Black & Decker in its portfolio. In 2014, they acquired 1,128 new customers in a single month (3x their previous acquisition rate), making it the fastest-growing marketing automation system on the market. Salesforce shut down all of Pardot’s other CRM connectors mid-2017, tactfully Salesforce CRM is the sole option. One-line Pitch: Krux helps marketers, publishers and agencies drive revenue by delivering smarter content, commerce and marketing experiences. Programmatic digital advertising was becoming a hot topic in the Spring of 2016, when Forrester predicted that the market will see ‘robust’ growth – an increase of 43% YOY* from 2015-2021 (Forrester). Come October, Salesforce swept up Krux to fill this missing space on the platform. DMPs (Data Management Platforms) are all about using customer data & external sources of interaction data, in order to optimise display adverts – here’s more on what DMPs do. Krux was rapidly rebranded as Salesforce DMP, and incorporated into the Marketing Cloud. Salesforce DMP handles vast volumes of data. These figures from June 2017 state that Salesforce DMP interacts with 3 bil+ browsers and devices, processes 200 bil+ data collection events, 5 bil+ CRM records and orchestrates 200 bil+ personalised consumer experiences – yes, that’s every month! I doubt anyone can argue that processing power. Standalone document processing applications are entirely outdated, but yet, user friendly – a reality that must be acknowledged. Salesforce have always been trying to bridge that gap, by giving users the ability to store documents on Salesforce, not only making documents shareable, but contextual to whichever CRM record they’re related to. However, as we know, this often creates more friction and confusion. Unfortunately, features such as Notes & Attachments, CRM content and Libraries had surpassed their prime for the modern organisation. Collaboration is a key value of Salesforce’s, as it increases user satisfaction and dramatically helps platform adoption. The name stayed, but publicity grew. Quip are well-known for their ‘Living Documents’, that bi-directionally sync CRM data into documents and spreadsheets, and ‘Live Apps’, for collaboration on calendars, videos, images, and more. Quip featured during the Dreamforce ‘17 Keynote demo, showing how 21st Century Fox use Living Documents for release planning, including budgeting and content feedback on Trailers. Chatter in Quip isn’t new – but what is, is pulling in other Salesforce products, for example @mentioning Social Studio to kickstart a social posting workflow. So simple, so rapid. When the social media hype was on the rise, Salesforce looked to offer social media management features to their customers. Bringing a social media tool onto the market was an interesting play for Salesforce – an extra way for Salesforce customers to pump data into their CRMs, to use across multiple business functions. This quote puts it perfectly: “people are using social networks to volunteer crucial insights about themselves, and it’s the job of any smart CRM provider to tap into that.” (Mark Miller, CRM practice lead at Digitas, AdWeek). Buddy Media was paired with Radian6 to become Social Studio (part of Marketing Cloud) – the pictures that follow show the product information in its infancy. Social Studio performs at the level large enterprises need to manage their social channel content, and measure engagement. This post has covered the Top 5 acquisitions (by price) across Salesforce’s history, and how they’ve been rebranded and weaved into the Salesforce Platform technically. It’s safe to say that Salesforce have been on the ball with their acquisitions, seeing a space and filling it with the best-in-class vendors on the market! I felt like your article was timely and relevant. free from being perpetually in front of the computer or I-Phone screen. Go outside!! Este é o tipo de material que deve ser divulgado , pois realmente mudam a nossa visão .